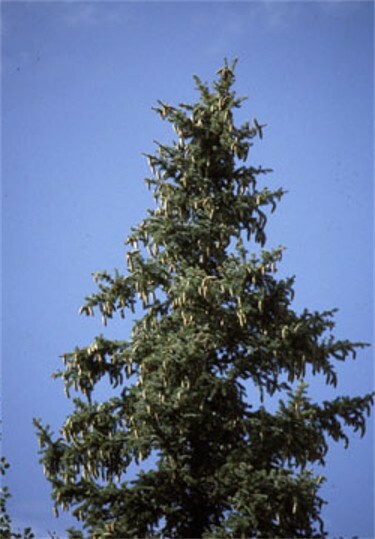 Spruce (Picea; Ukrainian: smereka, yalyna). 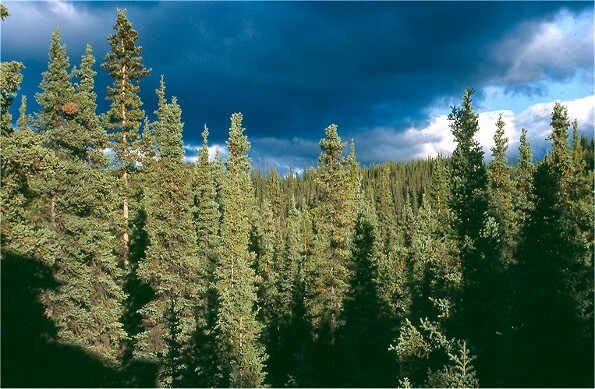 A coniferous, evergreen ornamental and timber tree of the pine family Pinaceae, with a straight trunk and thick conical crown, reaching heights of 20–80 m. Its wood is valuable in the production of construction lumber, paper, and musical instruments and as a source of tar, turpentine, and tanning substances. 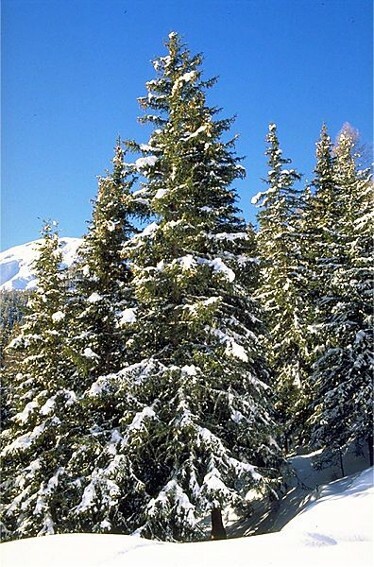 Two species grow naturally in Ukraine, Norway spruce (P. abies or P. excelsa) and mountain spruce (P. montana). 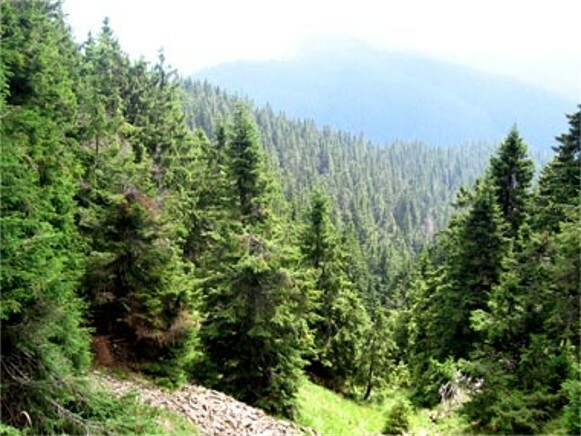 Spruce trees cover an area of about 850,000 ha, or 12.5 percent of all forests in Ukraine (third most common after pine and oak trees), principally in the Carpathian Mountains, where pure spruce forests are also to be found. 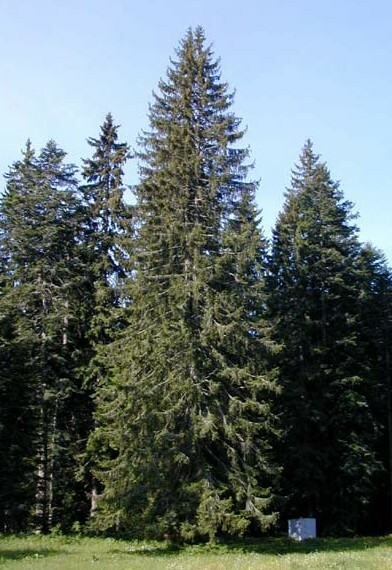 Smaller islands of spruce exist in the Roztochia, Podlachia, Podilia, and the Chernihiv region. 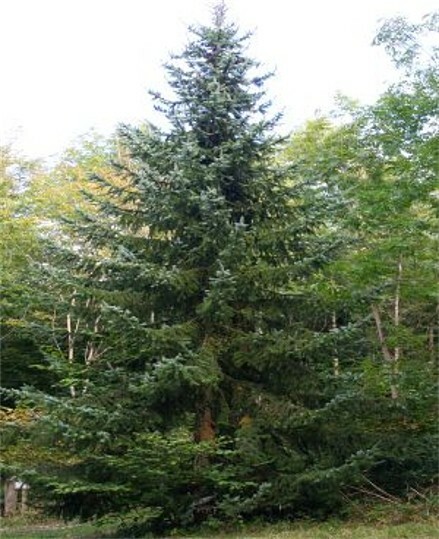 Eastern spruce (P. orientalis) is found in Caucasia, and Engelmann spruce (P. engelmanni) and blue spruce (P. pungens) are cultivated as ornamentals.